We offer a professional business website template range which can be customised to suit the needs of your IT Services or technology consultancy company. Features include the option of adding a PayPal shopping cart, product photo gallery and video gallery. The site itself can be upgraded and optimised for display on a mobile handset browser (as with all our websites). 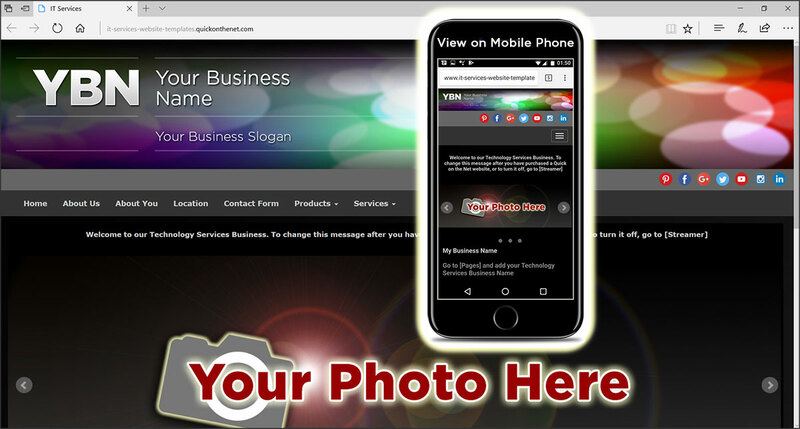 The creative concept includes a generic smartphone logo, overlaid on a vibrant colourful background image.